He has not said, but House Speaker Paul Ryan (R-WI) has been explicit about what he has in mind. And since the election Trump seems to have adopted much of Ryan’s language, suggesting he may also embrace his policy proposals. Those include redesigning the basic financial structure of the program and making Medicare Advantage managed care plans more attractive. Premium Support: Currently, the federal government pays roughly 70 percent of the cost of Medicare and consumers pay about 30 percent (the exact amount varies depending on the part of Medicare being subsidized). No matter how fast health care costs increase, that 70-30 split is fixed. For years, conservatives have pushed for a different model where the federal contribution is capped through either vouchers, or a design called premium support. In effect, the government would give seniors a fixed amount of money to buy insurance. They could buy either traditional Medicare or Medicare Advantage managed care, though government payments for those in traditional Medicare would be capped. The government’s initial contribution would be tied to premiums of private Medicare plans in an enrollee’s community. It would increase each year based on an index, say the country’s overall growth rate plus 1 percent. But it would not track medical inflation. As a result, if health costs grow faster than the index, the government contribution would gradually cover a smaller share of the costs, and seniors would pay a larger share. In an earlier version proposed by Ryan, the division of costs would flip from what it is today--seniors would eventually pay 70 percent of the cost and the government would pay about 30 percent. The current Ryan plan would exempt current retirees. There are many variations on this model, and consumer costs would depend on what specific design Congress eventually adopts. Supporters say premium support would give seniors more choice, while critics say it would make insurance unaffordable and drive participants away from traditional Medicare. Properly designed, premium support could create pressure to hold down the rapid rise in medical costs, which could eventually benefit all consumers. Medicare Advantage: Currently about one-third of enrollees choose MA rather than traditional fee-for-service Medicare. These plans offer more coordinated care and additional services (for instance they usually include prescription drugs and sometimes eye care), but they may also mean fewer choices of doctors and hospitals. When current MA plans were first created in 2003, they were heavily subsidized by the federal government. In 2010, as part of the Affordable Care Act, those subsidies were gradually reduced. The House Republicans are proposing to increase those subsidies as well as make it easier to switch into MA from traditional Medicare. 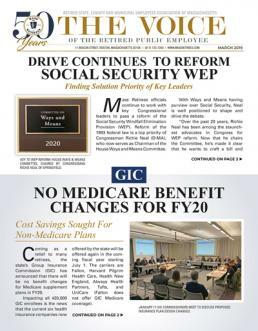 These and other Medicare changes will be extremely controversial and are unlikely to be included in the first round of policy changes Trump sends to Congress. But look for lawmakers to consider them starting in 2018. And watch carefully: They could profoundly change the way seniors get, and pay for, health care.